Just over 24 hours ago our plane landed in Ha-eretz, The Land. For us and those who love Israel, there is only one ‘Land,’ and this is it, the apple of God’s eye. We arrived right on the eve of Shabbat with stores already closed and as we pulled into the drive of our host’s guest house, all lights were off. We knocked and after no answer, just let ourselves in. I retired to the porch to listen to the Shabbat quiet as it covered the Land with only a few birds chirping in the back ground. After Kelly and Silas had both had showers we had a protein bar and decided to get ready for bed while I hit the shower. Mid-shower, I heard excited voices in the living room and assumed Tzemach had arrived with usual fanfare. He is a bundle of broken English speaking energy. I rushed to finish and get out the join the flash party and Tzemach greeted me with a huge hug and announcement that dinner was ready downstairs. Apparently, through miscommunication, a staple in this relationship, he had been waiting expectantly at his parent’s house for several hours. He indeed had a sumptuous meal prepared with a nice wine accompaniment. He was, I believe, more excited to see us than even my heightened state. Dinner was a long exchange of family details and stories of the events over the last six months since we last saw him. The best part was him relaying that when he got the emergency message of our early arrival he thought the entire 50+ Ani Yosef group was coming and he panicked and went grocery shopping!! 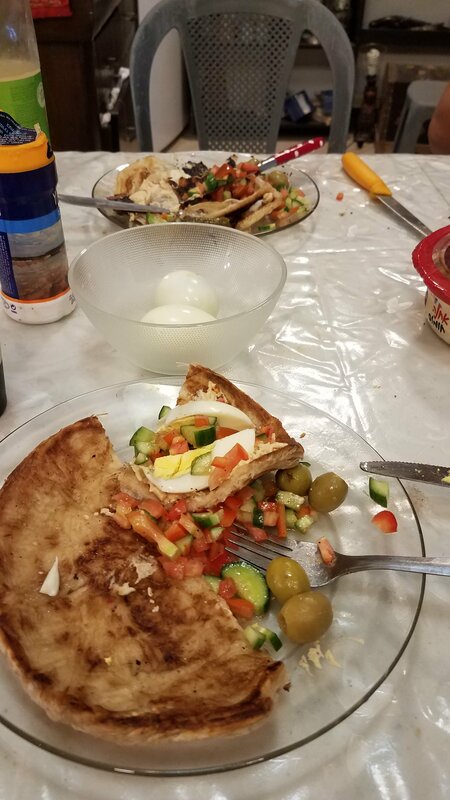 It was a memorable Shabbat dinner that ended late. Our plan was to laze around the house today, but not Tzemach. The last two times we have come he has been insistent on taking us touring to some of his favorite places, but his work and our schedule have not meshed. Upon his insistence again last night, and knowing that today would be our only day available, we agreed with the caveat that we not spend any money. I rose early and enjoyed the Torah portion on the porch before our effervescent host again came up the stairs. Breakfast, a very traditional Yemenite farm spread was laid out waiting for us. Wonderful. We followed it with coffee and more talk before packing a few water bottles and heading for the car. Interestingly, at some point last night, I dreamed of David and Goliath and not getting there the last time we were here. It was one place I wanted to go but again, scheduling didn’t work out. 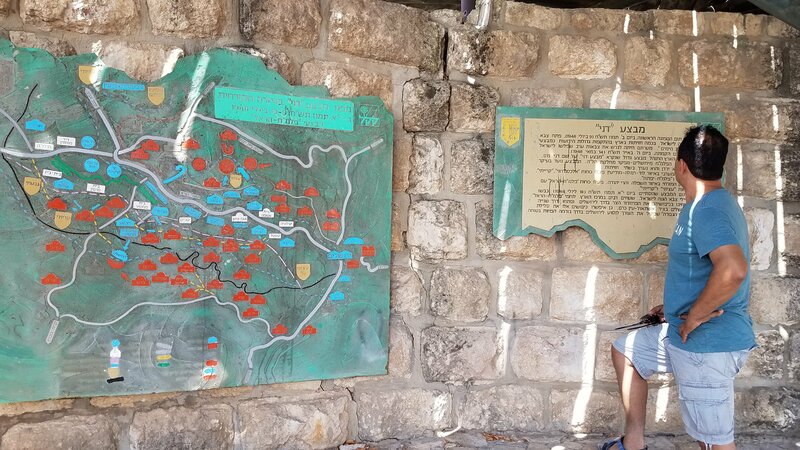 So, this morning Tzemach gave me a run down on the places he wanted to take us and … David and Goliath’s encounter at Azeka was on the list! WOW! We spent an incredible day driving at a leisurely pace from one point to another and getting out and walking. Our first stop was a memorial park for Air Force ‘soldiers’ who died in the line of duty. This was a nice park very near the Giv’at Ye’arim. We walked, looked at the monuments and I ooh-ed and aah-ed over the rotary engine atop the monument at the amphitheater. 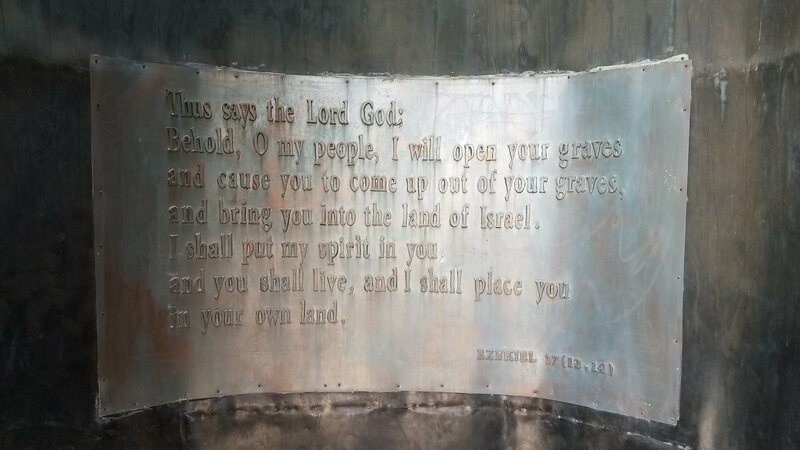 Next we proceeded to a forest called the Forest of the Holy Ones to see an 30 or 40 foot tall bronze featuring an interpretation of Ezekiel 37:12, 14. The idea of Russian immigrants, IDF soldiers, and patriarchs all answering the call simultaneously was impressive. I guess I often imagine the whole even in contemporary terms not considering the many ages, customs, dress and peoples who will be present. So easy to get locked into our own little sphere interpreting everything within our own little cultural paradigm. Next we visited Samson’s grave. It was interesting and one of those places that I wonder how the interpretation was made that it was on or near that location. While on the top of that hill we were drawn into a nice cave that was under a huge stone and I thought it odd there were dozens, maybe a hundred candles that had been burned as well as two seven day candles about five days gone. 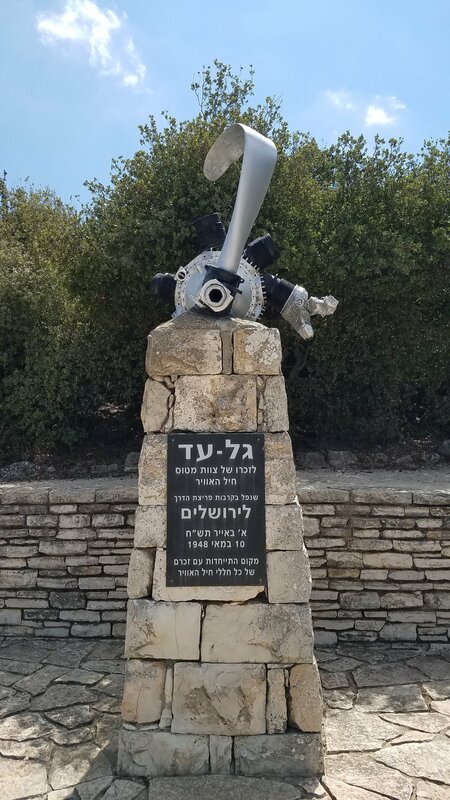 I puzzled over the thought of ‘worship’ on that ‘high place’ as we moved on to a nearby military memorial to Operation Danny (Dani? ), the taking of Jerusalem through the adjacent valley. 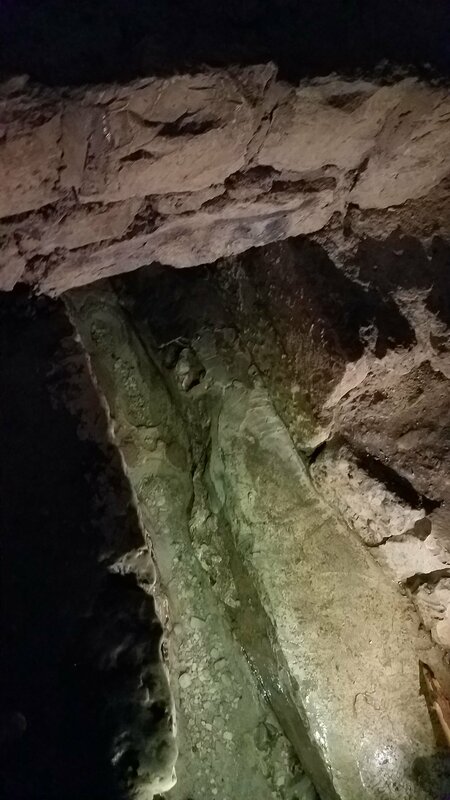 It suddenly dawned on me as we looked back toward that place and continued to discuss Manoach that the cave was an obvious hiding place and the large overhead rock may have been where the Angel of the Lord visited! WOW!! How dense I was not to see that while standing there. 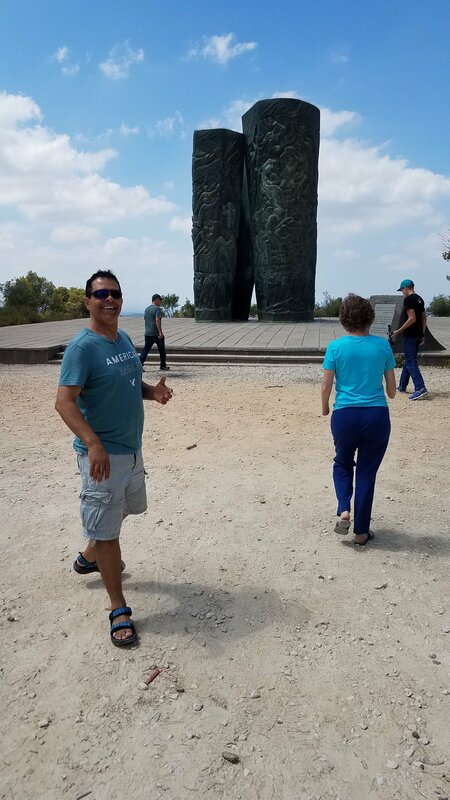 We moved on through a sculpture park and then headed to the valley of Elah and Tel Azeka. 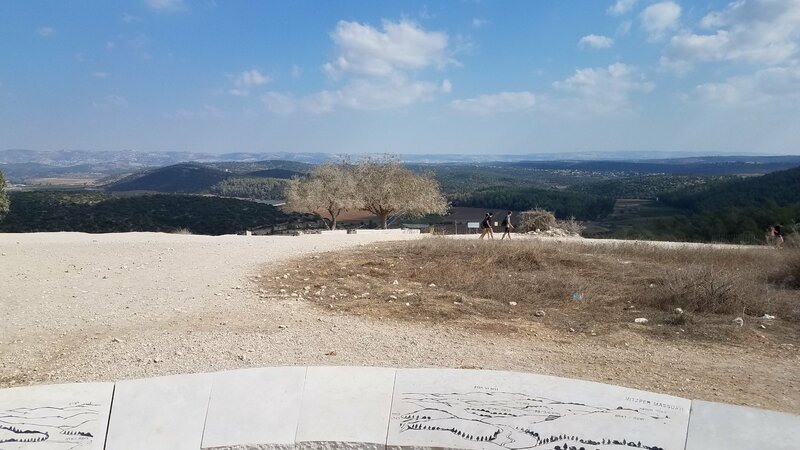 Truly, the walk up to the Philistine stronghold was wonderful and crested onto a hilltop with unparalleled vistas. 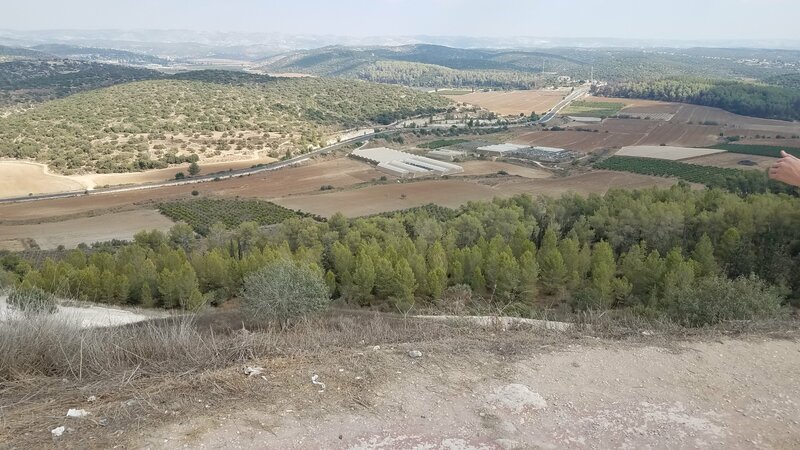 Looking across the valley in the direction of Jerusalem at a much lower hill it was easy to imagine the cowering army of Israel as a young shepherd stepped forward to face down Goliath. We drank in the views and talked of the victory. Kelly and I discussed an article I wrote several years ago connecting David and Goliath with the Mashiach and the Anti-Maschiach. I was so glad to be able to stand on the hill and look across and savor the prophetic events and a soon coming drama. Once we walked down we meandered through several other stops before finishing the afternoon at Sataf, an ancient terraced community with a cave, spring and cistern set up that was fascinating to see. As with several stops, Tzemach ran into friends and was treated as a celebrity. We had a ball. 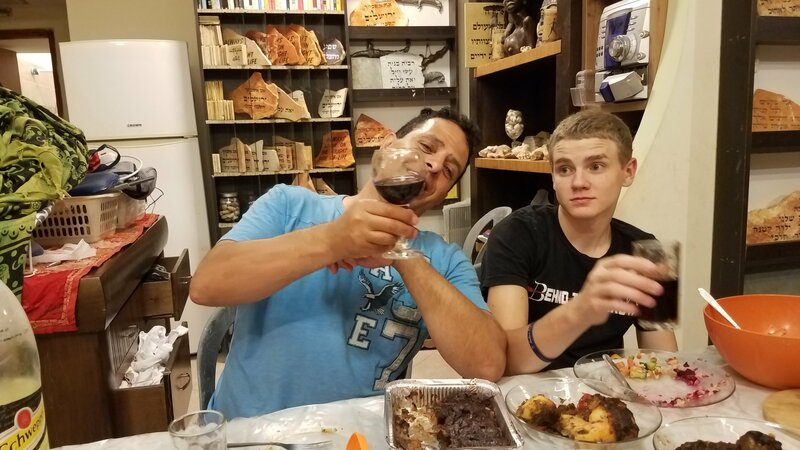 The day ended with more food around his table and planning for the coming weeks as the whole Ani Yosef group comes in tomorrow to begin a little work and touring while we celebrate Yom Kippur and Sukkot in the Land. These and more pics in the gallery below. Enjoy!! Keep an eye both here and aniyosef.com in the coming days for updates. 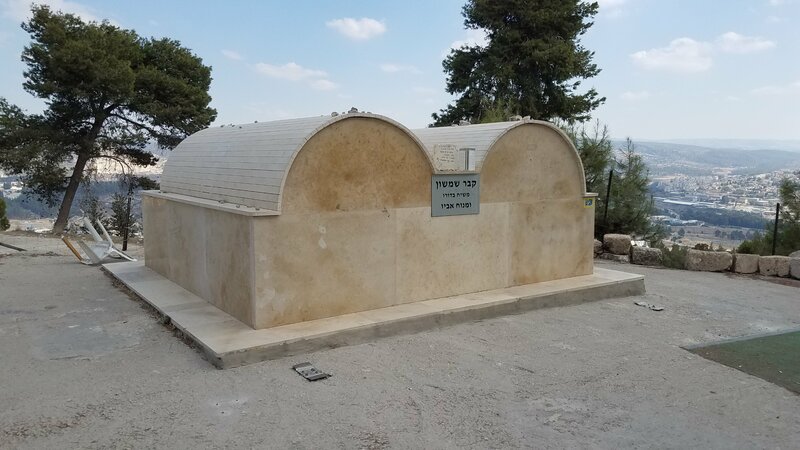 This entry was posted in B'ney Yosef (Ani Yosef), Travel and tagged bronze sculpture, cistern, david and goliath, sampson, spring, travel. Bookmark the permalink. I love how you share the land with us Pete. 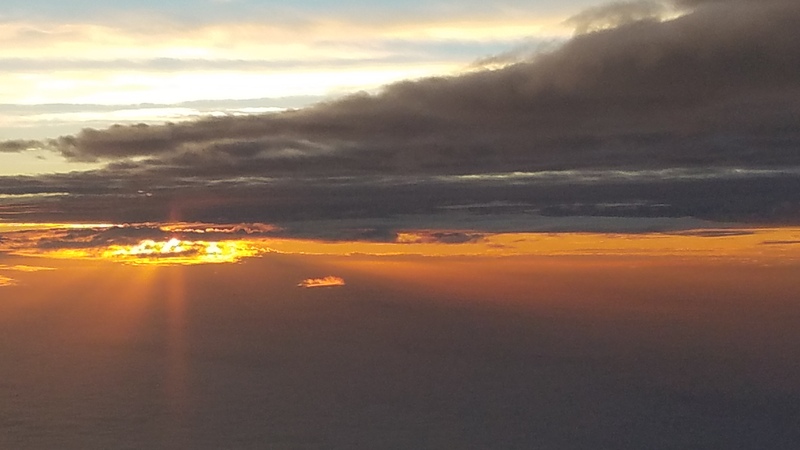 Its always a blessing for those of us who dont get to come home now and then. I look forward to touring with Messiah when He gathers us home! Have a blessed & fruitful trip! I am with you in spirit! Your posts from Israel are always a delight, Hope one day you will make a video of your adventures. Richest blessings to you & your family & friends!